We Have Your Needs Covered From A-Z. BLM works with a network of skilled vendors to ensure each property is secure, free of health hazards, and maintained to show-ready standards. All work is completed in accordance with applicable investor and insurer guidelines. Our vendors evaluate and report any potential damages or issues so they may be addressed in a timely and cost-effective manner. BLM is here to assist our clients every step of the way. 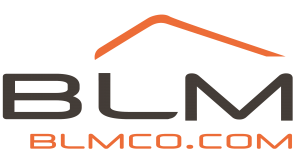 Within the realm of property preservation are a number of services that BLM provides to our clients on a regular basis. Please read below about some of the additional services that we offer. BLM provides winterizations seasonally to protect properties by preventing pipes from expanding and bursting due to freezing temperatures. It is standard procedure during a BLM winterization to turn off all water supply lines and zip tie them in the off position. We then drain the water heater and toilets and blow out all lines to completely remove water from the system. Non-toxic antifreeze is added to all drains and traps. Winterization notices are then placed in the front window and next to every winterized item and all toilets are taped closed. This helps prevent accidental compromising of the winterization and helps prevent unauthorized utility activations. BLM understands that a property must be thoroughly secured at all times to prevent intrusion and/or vandalism. We, therefore, strive to ensure that all entrances to the property are secured at all times. As well as all health and safety concerns are correctly addressed and indicated. This includes rekeying properties to our client’s specifications, securing all windows with window locks, reglazing windows, and boarding doors/windows as needed. Above and beyond these items, BLM also ensures that all crawlspaces and cellar access doors are covered or secured with hasps and padlocks. Garage roll-up doors are padlocked on the track so that the door cannot be raised more than 4 inches. All outbuildings are rekeyed or padlocked as needed. Any pool gates are padlocked with pools/hot tubs drained and secured. We do all of this and more to ensure that these properties cannot be accessed easily without the correct property keys. BLM provides debris removal of both interior and exterior debris. Our scope of work for debris removal includes checking all structures within the property (including, but not limited to: porches, attics, garages, sheds, crawl spaces, roofs, etc). Debris removal includes any trash, rubble, yard debris*, personal property, etc that needs removal. *Yard Debris: includes, but is not limited to, grass clippings, fallen branches, leaf removal, etc. Here at BLM, we take pride in the work that we provide and we go to great lengths to ensure that any job requested of us is done to our client’s needs and specifications the first time. To assist in this objective, we have an in-depth training process which all of our vendors are required to complete. In addition to reviewing the training, each vendor will go through an assessment of their understanding and retention of the work prior to completing any field work for BLM. BLM also maintains a highly trained processing department that thoroughly reviews all work before it is ever sent back to our client as completed. This is designed so that, should anything be missed, our processing team can catch it immediately and the issue can be corrected before it comes to you. We have a zero tolerance to poor quality. If a property is ever found or suspected of being occupied, BLM can complete an Occupancy Check. During the course of this check, we will provide date and time stamped photos to support the occupancy status. Whenever it is safe to do so, we will also provide information on the current occupant, including their name, possible landlord, and lease information. Occupancy Checks can be done for our vendors on a routine basis or a onetime check per request. BLM’s trained field vendors have experience in a number of property repairs. These include, but are not limited to, roof repairs, installing handrails and/or guardrails, capping exposed wires, marking trip hazards, boarding up holes in week flooring, bracing weak/leaning fencing, removing hazardous shelving, installation of safety straps on water heaters, plumbing, electrical, etc. Whatever you need, BLM can ensure the job will be completed to your satisfaction!